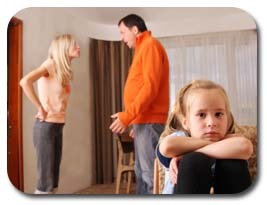 Breaking up is hard to do, especially when children are involved. At this time, more than ever, they need stability. That’s why a parenting plan is the very best thing you can do for them, and for yourselves — whether you are separating, divorcing, or merely ending a relationship. Required by law in Washington for divorcing couples with children, parenting plans protect everyone in a family during a time often rife with conflict. Arguments over the children’s visitation won’t need to occur, because the parents have already agreed, in writing, to a schedule specifying which days the children spend with each of them. Spousal maintenance in Spokane County does work differently than in other counties. Some counties in Washington will allow court commissioners to make decisions regarding child support and alimony; some will only allow Superior Court judges to make such decision, even if done in a temporary basis. All things being equal, you could walk away from your divorce scot-free. If you’re divorcing in Washington State and things aren’t equal, however, the court may order spousal maintenance. Also known as “alimony,” spousal maintenance consists of mandated payments from the higher-earning spouse to the person who earns less. The size of the payment depends partly on how many years the couple was married — the fewer the years, the lower the award tends to be — and partly upon the incomes of those divorcing. Other factors include work history and whether or not the person needing support is able to work, including his or her physical and emotional condition. The wheels of spousal maintenance in Spokane start turning as soon as your attorney files your petition for divorce. The procedure differs among counties in Washington, but in Spokane County a court commissioner will first review your financial declaration and that of your spouse, your tax records and bank statements, and other documents before signing temporary orders establishing payments. Washington is a “right to work” state, but that doesn’t necessarily give you the right to work anywhere you choose — especially not today, it seems. In these tough economic times, the job market really is a buyer’s market. With a glut of labor trying to fill relatively few open positions, employers seem to be demanding more from the workers they hire — such as requiring them to sign “non-compete” and/or “non-solitication” agreements. These agreements, often buried in the employment contract, should wave a red flag in the face of anyone asked to sign them. They protect the employer, but can actually harm the employee. Signing a non-compete agreement or a contract containing one means that you, the employee, cannot compete against your employer for a period of time after leaving the company where you work. These clauses can not only prevent you from opening a competing business, but also may stop you from accepting a job with a company deemed to be in competition with your employer. If you work as a bank teller with Bank A, you might not be able to take that manager’s job at Bank B.
Clauses like these do offer the employer some protection against company secrets’ being divulged to the competition. Non-compete clauses are quite common in sales, for obvious reasons: Salespeople with inside knowledge of a company’s products as well as upcoming promotions, information the employer deems confidential. Having a sales representative take a job with a competitor increases the likelihood that the competing company will gain access to information that could hurt the original employer. It’s always a good idea to be careful about what you say, but especially when agreeing to a transaction. Because, in Washington and elsewhere, oral contracts can be every bit as binding as written ones. The key factor is evidence. Without a witness’s testimony, a recording, or some other indication of the agreement’s terms, no judge can enforce your oral contract. In the United States, any contract, written or oral, must have three components to be considered legally binding: offer, acceptance, and consideration, or price. That’s pretty simple, which is another reason to take care. An estimate or quote, if accepted and agreed upon, can constitute a contract. When I immigrated to the United States (January 20, 2000), I remember the excitement of the countless opportunities that laid ahead. My birth country, Colombia, with all of its problems and drug wars, was a difficult place to leave but America promised freedom, and I was seeking that freedom. I always knew I wanted to study law (my grandfather, parents, uncles, and sister are Colombian attorneys). However, once in the United States, the roadblock to becoming a lawyer was self-evident. Most (not to say all) of my English as a Second Language teachers would remind me that English is the lawyer’s craft… and I was very far from ever mastering the skill. We love this season! We have the blessing to spend time with our family and in a genuine way express of feelings of love and caring for each other. We appreciate you as a client, friend, and part of our extended family. We would like to express our gratitude to you for placing trust in our office. The Quiroga Law Office, PLLC is a small family business and we could not do it without your continuing support. Thank you! Say your employee has an accident in the company truck, and gets sued. Or maybe someone slips and falls on the steps leading to your business’s front door, and sues you. Or perhaps a customer isn’t pleased with the outcome of a service or product you provided, and files a lawsuit. What would you stand to lose? Everything, if your business is a sole proprietorship. Because, if the plaintiff wins the suit against you and the award is greater than your business is worth, you might have to sell your house or car the cash, dip into — or deplete your savings and in some circumstances your retirement account, or worse. In Washington, a community property state, your spouse might have his or her wages garnished to pay the award. Whoever said the pedestrian always has the right of way? In Washington, nothing could be farther from the truth. If you’re a pedestrian, you must obey laws just as drivers do. You also have rights, however, which often include the right to medical coverage if a vehicle hits you, and possibly more. Your vehicle insurance policy may provide coverage in case of a collision, even if you’re crossing the street on foot. If you aren’t insured, the insurance someone in your household carries — a parent, a spouse, or even a roommate — may pay your medical bills. Or, if the driver caused the accident, his or her insurance may pay. Insurance companies, however, want to make money, not spend it. Some may unscrupulously try to discredit a pedestrian’s claims of injury or pain. That’s why calling an attorney is one of the first things you should do if a vehicle strikes you. Because you can bet the insurance companies have already called their lawyers. And remember: you have the right to remain silent. That claims adjuster may be friendly, but his job is to gather evidence against you. As a bankruptcy attorney in Spokane Washington, I hear it all the time. Either creditors harass consumers for payment or they hire collection companies to contact consumers and attempt to collect a legitimate claim. Usually, the creditor has a valid claim or that the debtor owes money to the creditor. The question often is: how far can a creditor go? What can a consumer do to stop the harassment? What are our specific and local rights in Spokane, Washington? These are good questions and truthfully, questions like this, encourage me to talk about this subject. How far can a creditor go when attempting to collect on a legitimate claim for money owed? Creditors have a right and a duty to collect on the money owed to them. They can initiate legal actions and garnish wages, sell assets, or even foreclose on real estate if the proper legal process is followed. Supplemental proceedings in Spokane Washington occur when a creditor obtains a judgment against a debtor, but cannot collect on the judgment because they do not know where the debtor has his/her assets (if any). They can elect to bring a supplemental proceeding. The creditor often lacks information regarding employment, vehicles, savings, checking account information, etc. Therefore, they file and serve the supplemental proceeding on the pertinent court (Spokane County Superior or Spokane District court). Typically, the creditor obtains a default judgment against the debtor. However, the creditor must have an enforceable judgment in order to bring this type of hearing. Once the creditor obtains a judgment, he/she may serve upon the debtor a notice to appear in court.